The Tuamotu Island chain, in French Polynesia, is one of the best locations on the planet to enjoy close up, pulsating action with a large variety of different shark species. Grey reef, black tip reef, silver tip, tiger, sandbar, lemon, silky, white tip reef, and oceanic blacktip are a few of the species I encountered there during my two years of working on the Tahiti Aggressor. However, my all time favourite shark to find was the elusive Great Hammerhead, a truly awe inspiring beast of a species. 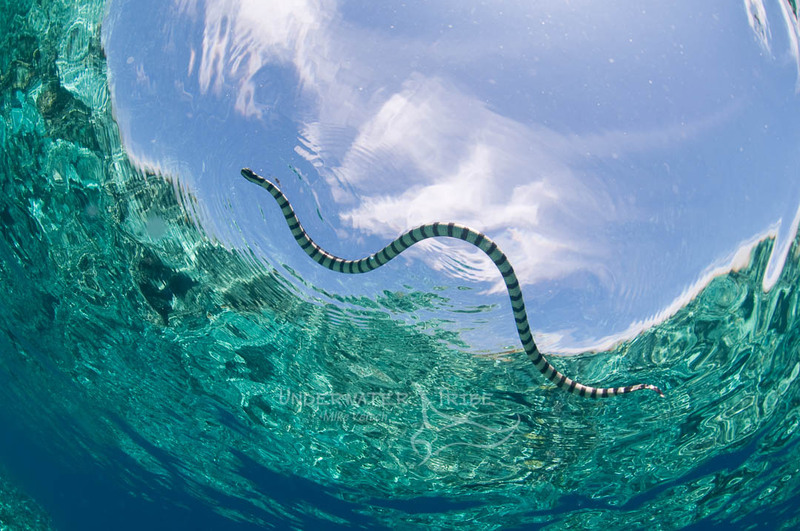 The best location in which to find these incredible animals was in Tiputa Pass at the island of Rangiroa. From the months of Dec – March, large groups of eagle rays would gather together in the pass for mating purposes, which always drew in the local population of hammerheads looking for a tasty snack. As luck would have it, we had a week of “down time” with no guests on the boat during the full moon of January one year, the perfect time of the month to encounter the eagle rays, and hopefully a hammerhead! Between painting and other repairs, we snuck in a few sneaky dives throughout the week when the tides were perfect. On this particular occasion, I dropped into the mouth of the pass and drifted in to the channel keeping a close look downward for the tell tale sign of a large group of eagle rays. Sure enough, it didn’t take me long to spot the eagle rays and lo and behold, an absolutely gigantic hammerhead cruising directly behind them! Knowing an opportunity when I saw one, I silently descended to the bottom and slowly made my way toward the oncoming hammerhead. As I had encountered these shy beasts before, I knew that I would only get one or two shots off before it bolted off into the deep. 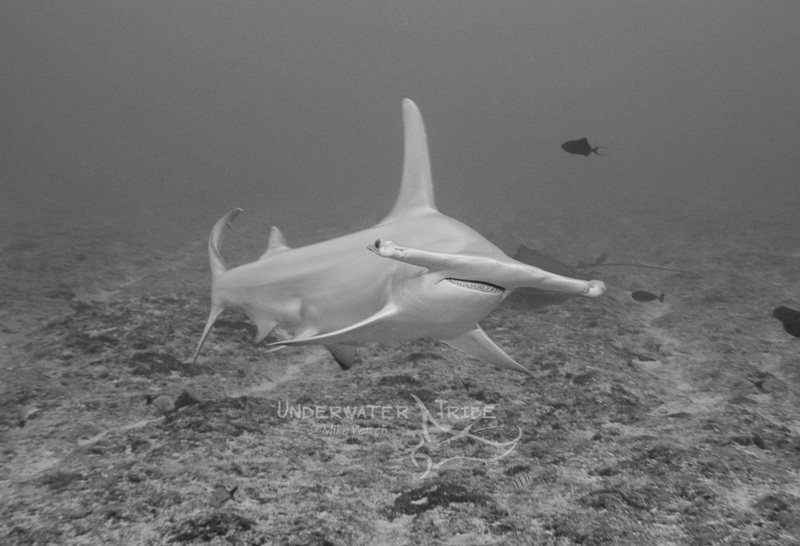 As the hammerhead and I quickly got closer and closer, I had to continually fight the urge to press the shutter button and allow it to fill the frame as much as possible. Finally, I could control the urge no longer and I had to press the button before my bubbles scared the shark away, and sure enough, this is the only shot I was able to get of the shark facing toward me because as I expected: Boom!, off went the shark as soon as I took the photo. It certainly goes to show that a 4-5 metre shark with the muscle mass of a prized bull is not the menacing eating machine that the media makes them out to be, but rather a relatively timid creature that spooks rather easily!